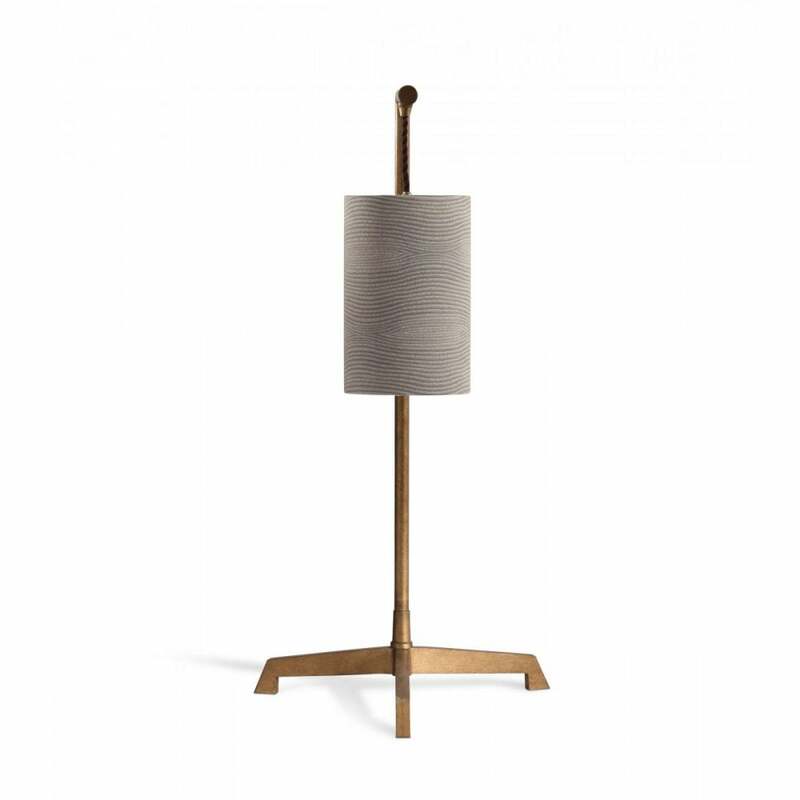 Beautifully engineered from the finest materials, the Galileo Lamp by Porta Romana features a striking tripod base with strong, angular lines. Inspired by industrial designs, the simplistic steel structure is elevated with a decorative finish. Hand-painted in Porta Romana’s workshop in England, choose from a Bronzed, Burnt Silver or French Brass base. The suspended shade brings a characterful quality to the lamp accentuating the tall pipe-like shape. Style either side of a bed to create a contemporary bedroom scheme or use as a quirky ready light next to a mid-century modern inspired armchair. Get in touch with our team for more information.